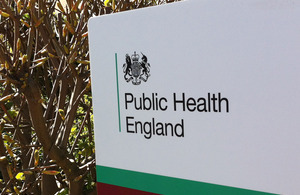 Public Health England has issued new guidance for educational, childcare and young persons’ settings who may have children or students returning or visiting from Ebola-affected countries. There is currently an outbreak of Ebola occurring in West Africa. It was first reported in March 2014 in Guinea and since late May has involved four countries: Guinea, Liberia, Sierra Leone and Nigeria. There have been no cases in the UK and the risk of Ebola arriving in the UK is very low. Ebola is a rare but serious viral infection. However, people in the UK are not at risk of Ebola as the virus is only transmitted by direct contact with the blood or bodily fluids of an infected person. It remains unlikely, but not impossible, that a person infected in Guinea, Liberia or Sierra Leone could arrive in the UK. The affected countries are introducing exit screening at airports to ensure that individuals who are unwell do not board flights. This is in line with World Health Organization (WHO) guidance and is one of many measures to reduce the risk of international spread of disease. A spokesperson for PHE said: "All staff or those with contact with children should already be aware of what to do if a child or student falls ill and there is general guidance on infection control in school and childcare settings."